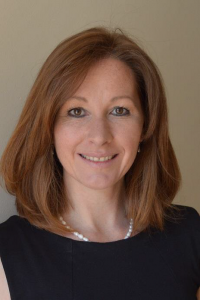 I am delighted to welcome you to Heathfield Community College, which I feel privileged to lead. A high performing secondary school and sixth form, Heathfield is a happy and successful environment where all members of our College are proud of our inspirational and ambitious community. Our success is based on that strong sense of community, high expectations and mutual respect. Students are well known and well supported, developing a firm identity with College values and a sense of responsibility for one another. Our committed and experienced staff create the very best learning environment for all our students with a personalised, innovative curriculum alongside dynamic teaching and learning. We have the highest expectations of all our students as we work to ensure that every individual student succeeds. We promote excellence and personal achievement for all students. A rich, balanced range of experiences and opportunities develop individuals who are able to achieve their very best. All students are encouraged to participate fully to develop the vital skills they need to thrive and excel. 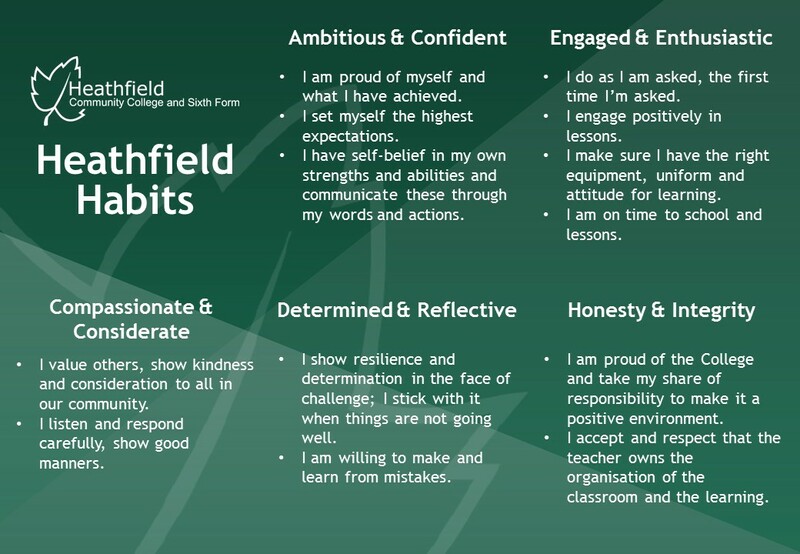 We call these skills our Heathfield Habits and they are developed through all aspects of College life. Our positive and optimistic environment ensures young people can flourish, developing the self-esteem and resilience needed for their success and happiness. Every member of our community accepts their role in creating and supporting that ethos. Students are happy here; they succeed, often achieving far more than they ever thought possible. But don’t just take our word for it – we would be delighted to show you more of our very happy and high-achieving College. Heathfield Community College serves the local community from a pleasant 26 acre site on the edge of Heathfield. Our size offers us many advantages: we have excellent facilities, allowing us to offer a wide and varied range of academic and vocational courses at all levels. 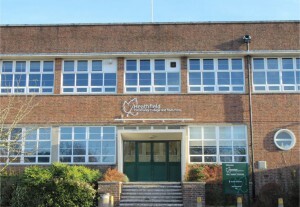 The Heathfield campus has been steadily improved in recent years. We have both a Library and a dedicated Sixth Form Learning Resource Centre, we also enjoy large open space and a floodlit all-weather astro-turf pitch. A rolling programme of refurbishment means we continue to upgrade and improve our site and facilities including Science rooms, Music Technology and ICT facilities, including our very own Apple-esque Genius Bar. There is also a fitness centre (adjoining the school site and run by Freedom Leisure), and multi-use games areas. A wide range of extra-curricular and residential activities. Heathfield Community College has a clear set of goals and beliefs. These were collaboratively formed and are the basis by which we conduct our everyday experience and set our long term aspirations. Students from Heathfield Community College leave the College as well rounded, proactive young adults ready to be responsible citizens of the future with strong values, principles and ambition for success. This is achieved by a clear focus on the skills and attributes that we know are essential for future success in life. The exceptional exam results achieved by our students will open doors but the key to sustained future success and happiness is the ability to demonstrate the qualities that rarely appear on an exam paper. 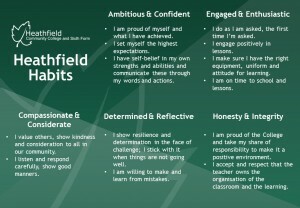 We call them our Heathfield Habits and we promote, recognise and reward them every day.